There is a leadership void in the world today. So what can be done about it? God has established pastors, elders and deacons as official leadership positions within the local church. “If a man desires the office of a bishop [church leader], he desires a good work” (1 Timothy 3:1). The Apostle Paul “called the elders of the church” and he said unto them, “take heed therefore unto yourselves, and to all the flock, over which the Holy Spirit has made you overseers, to feed the church of God” (Acts 20:17,28). These ministers are God’s leaders to govern and nurture His church. The role of an elder is to provide spiritual edification and practical leadership for the body of Christ. Elders are responsible for the oversight of the church. They are to look after the people and take care of the needs of the church. It is their responsibility to shepherd the flock by providing spiritual nourishment, guidance, and protection (1 Peter 5:2). God describes the role of ministers as a “good work,” which means it is both right and necessary. God made some Christians to be ministers in order to fulfill these offices in the church. The Apostle Paul said, “I was made a minister, according to the gift of the grace of God given unto me by the effectual working of his power” (Ephesians 3:7). Therefore, because God had made Paul a minister, He called him into the gospel ministry. God called Paul to “do” what He had made him to “be.” Doing always stems from being. 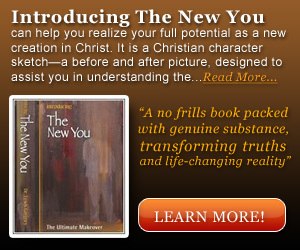 God first of all made us new creations in Christ, in order that we might be all He intends for us to be. And so it is with all God’s ministers. To insure the effectiveness of their ministry, God enables ministers with the power of His Spirit. He also provides specific gifts, talents, and abilities to accomplish the work of the ministry. “And He gave some, apostles; and some, prophets; and some, evangelists; and some, pastors and teachers; For the perfecting of the saints, for the work of the ministry, for the edifying of the body of Christ” (Ephesians 4:11-12). These ministers are to act as overseers. They should provide a spiritual covering for the flock, much like a mother hen covers her chicks with her wings. They should also be attentive to the needs of the church and minister accordingly. Elders (spiritual leaders) have the responsibility of giving guidance and leadership for the church. Pastors are to serve as shepherds of the flock (1 Peter 5:2, Acts 20:28). Pastors must feed the sheep the true nourishment of God’s Word. And they should protect them from the wolves (those who would harm them or lead them astray). Deacons are called to provide the practical service necessary for the daily operation of the church. It should be evident that all of these ministers have a very specific and vital calling within the body of Christ. They are actually God’s gift to the church. “He …gave gifts unto men” (Ephesians 4:8). As leaders, they are to work together in unity and harmony for the advancement of God’s kingdom here on Earth. Determining God’s minister for your church involves evaluating the ministry, the method, and the minister. The following guidelines will assist you in that evaluation. What is the nature of the ministry that God wants to perform at this church? To find out, you must examine the direction that the Lord is taking your church. The Church was once the hub of activity in the community. It still can be! Consider hosting such groups as Scouts, Little League, Pre K, and other wholesome community activities. These kinds of activities will allow the community to be introduced to your church in a non-threatening manner. One church that is used for a voting precinct offers refreshments to the voters and provides teaching materials about the Lord and their church. You must also evaluate the specific ministries of your church (Worship, Bible Study, Youth, Elders, Deacons, Flocks, Outreach, etc.) In looking at these ministries, you should begin to get an idea of the type minister God desires for this church. Once, a “need-driven” church selected a minister because he was very talented and experienced. It turned out he was also very independent and prideful. This proved to be highly detrimental to the church. It is extremely important to be clear on the type of ministries the Lord wants for your church. In some cases, the Lord may no longer desire certain ministries to continue (1 Samuel 8:4-7). As far as we know, Jonah’s ministry was short lived. He only had one ministry assignment, and then he was never heard of again. The point is that some ministries are short and others are long term. But that’s for God to decide. Remember, just because all the other nations had kings, did not mean that God wanted Israel to have a king. And He certainly did not want them to be just like all the other nations. Your church does not have to be like other churches, but it must be what God wants. Avoid fads or trends within the Christian community. At one time, it was thought that a bus ministry was essential for church growth. All the churches were doing it. So, one church “went out on a limb” and bought a bus. But after many months of toilsome effort, it became evident that the Lord did not intend for that church to have a bus ministry. God may bless the activities of some churches, but that does not mean every church must do the same thing. Maybe your motto should be “WDGW”. What Does God Want? Once you have determined the ministry responsibilities of your church, you should be able to better describe the kind of minister that is needed. It would be beneficial to develop a detailed outline of the specific ministry functions of such a person. The following are some important areas of ministry that would be good for you to consider. Look for a minister who is committed to the ministry of the word and prayer (Acts 6:4). This is not about merely allotting time for Bible study and prayer. It is about ministering to people by sharing the appropriate Scriptures and praying for specific needs. Of course, we should all be actively engaged in meditating on the Lord through the Word and prayer. And of course, ministers should spend time praying and studying for the messages God has for them to deliver. However, many churches have expressed their frustrations over ministers who spend most of their time in the office studying, planning and organizing, yet rarely get involved in people’s lives. Some pastors have actually used Acts 6:4 as the proof text to justify this. It may sound spiritual, but it won’t cut it! Look for a minister who is actively engaged in personal ministry, and who is available to the people. Consider the life of our Lord Jesus Christ. He mixed and mingled with the people. He identified with them, became personally involved in their lives, and showed genuine compassion. He addressed their needs and touched them where they hurt. Now, that’s true ministry! And we must do likewise! Look for a minister who is committed to proclaiming the mystery of the gospel, which is “Christ in you” (Colossians 1:23-2:3). A true minister of God knows who he is, and what God has called him to do. His testimony might well be, “I am what I am by the grace of God” (1 Corinthians 15:10). Look for someone who understands his own personal identity in Christ and is eager to proclaim it. He should be devoted to showing and sharing the “grace of God” everywhere he can. Look for someone who is committed to the spiritual growth and maturity of the body of Christ (Colossians 1:28-2:3; Hebrews 6:1). Look for someone who is committed to equipping the saints for the work of the ministry (Ephesians 3:12). This is a brief description of God’s ministry for your church. But it is up to God’s minister to carry it out. And by the “grace of God”, he can, and he must! Any church that desires to truly be the church of the Lord Jesus Christ, must adopt God’s methods. When you use God’s methods, it always works out right. God’s work, done God’s way, will always accomplish God’s objectives! So, what is God’s method of selecting a minister? You should prayerfully and carefully study each of these examples. The wrong method of selection is described in Acts 1:4,15-26. The Lord told the disciples to wait on the Father’s promise before they did anything. However, Peter and the other apostles just couldn’t sit still. They observed that the Psalms indicated there should be a replacement for the Apostle Judas. Since they were in charge (or so they thought) they decided to take matters into their own hands. Because there was a need for another apostle, they proceeded to select someone to take his place. They came up with their own criterion for an appropriate candidate. They managed to narrow it down to two possibilities. Then they left the matter to chance, by casting lots to determine who would get the position. The man they chose is never mentioned again in Scripture. However, the Apostle Paul, whom God later selected, became a significant figure in the early church. Furthermore, he even wrote the largest portion of the New Testament! Churches today often make the same mistake. They employ a natural selection process, based upon human criterion. Instead of judging righteous judgment, they judge by appearance. In their haste to fill the position, even though they may “pray” about it, they fail to wait on God for instructions, or give Him time to work. Ministers sometimes make the same mistake when they accept a position. Perhaps this explains why so many ministers change churches every two or three years. Tragic! God’s selection process remains the same today. “I will instruct thee and teach thee in the way which thou shalt go: I will guide thee with mine eye” (Psalm 32:8). God will provide you with the necessary instructions to discover God’s minister for your church. In general, He will teach you the way to go about it. Specifically, He will guide you with clear directions, and precise details in order to locate just the right person. But, most importantly, He will do it! The world is in dire need of godly leaders who are humble, strong in the Lord, and mighty in Spirit. In evaluating God’s minister, the primary emphasis should be on the minister’s personal life, character, and spiritual maturity, not skills (1 Samuel 16:7; 1 Timothy 3:1-7; 2 Timothy 2:3-5; 2:21-25). Especially take note of 2 Timothy 3:10 where the Apostle Paul says to look at his own credentials i.e. doctrine, manner of life, purpose, and faith. Doctrine: This has to do with one’s teachings, or beliefs considered essential for the faith. What is the minister’s position regarding various Biblical teachings? What does he believe to be the central truths of scripture regarding salvation, Christian living, and church ministry? They should clearly be in line with those of the Apostle Paul, who preached Christ and the cross (1 Corinthians 2:2). Manner of life: What about the minister’s personal character and conduct? He should be a man like David, after God’s own heart (Godly desires and interests). He must be determined to follow God as Moses did (Exodus 14:9-31), no matter what the cost, or what other people might say (Godly determination and leadership). Does he exhibit the same kind of availability and flexibility as Isaiah who said, “Here am I, send me” (Isaiah 6:1-9)? There needs to be a willingness, like the Apostle Paul (2 Corinthians 12:15), to lay down your life for others (Godly love and sacrifice). Remember, the good shepherd always gives his life for the sheep (John 10:11). Does he seek first the kingdom of God, and trust Him with all the details of his life (Matthew 6:33)? Is he an example to the believers, consistently manifesting the fruit of the Spirit in his life and ministry? Godly character and conduct are essential to godly leadership as a man of God! Does the minister commit his ways unto the Lord and trust Him to direct his paths (Psalm 37:5)? Does he find his contentment in Christ alone, or is it based on circumstances, things, people, etc.? The following statement illustrates this. “If I get what I want, or if they do what I like, then I can be content.” Contrast this with what the Apostle Paul said, “whatsoever state I am in, therewith to be content” (Philippians 4:11,12; Acts 20:24). Purpose: What is the minister’s life purpose (Philippians 3:8-11)? What is the vision the Lord has given him for his ministry? What are the objectives he believes the Lord wants to accomplish through his life? What are the specific plans the Lord has led him to make in the accomplishment of these objectives? What have the results been? (Genesis 6:14-8:22; Nehemiah 1:7) For example, once I allowed God to begin to work in me, I was able to understand what He wanted to do through me. As a result, God gave me very specific plans and directions for my life and ministry. Now, many years later, I can look back and see great evidence of God’s faithfulness. There have been numerous lives changed, and much abiding fruit. Glory to God! This is what it’s all about. So, you should purpose to find a minister who is committed to that end. Faith: God’s way is the way of faith not force. What is the minister looking to as his source, strength, and means of accomplishing the task? Is he looking to Jesus as the author and finisher of his faith (Hebrews 12:2)? The Apostle Paul boldly declared, “I can do all things”. And then he added, “through Christ who strengthens me” (Philippians 4:13). Christ alone was the source of his strength! In 2 Corinthians 2:1-5 we are told “that your faith should not stand in the wisdom of men, but in the power of God.” (Zechariah 4:6) Is the prospective minister a living demonstration of the power of God (1 Corinthians 2:4)? Remember, faith without works is dead (James 2:17). So, find out if there are some testimonies about the works of God through his life and ministry. God desires both “show and tell”. The Apostle Paul stressed the importance of being “an example to the believers” (1 Timothy 4:12). Therefore, look for someone who practices what he preaches. What is the minister’s outlook on this position? The following are some things to keep in mind regarding the minister’s outlook on the proposed position. He should be willing to stay at this church the rest of his life, if God directs, regardless of salary or ministry conditions. In other words, he should not view this church as a stepping- stone to bigger and better things. Perseverance and loyalty are essentials qualities of ministry. However, he should also be willing to leave whenever God says it is time to move on. The ministry is not about climbing the worldly ladder of success, or making the best career move. It is about following the Lord’s leading. Follow the instructions of Proverbs 3:5-6 and you will find God’s minister for your church. “Trust in the Lord with all your heart, and lean not unto your own understanding. In all of your ways acknowledge Him, and He shall direct your paths.” Always keep in mind that regardless of who you have for a pastor, it is God who gives the increase (1 Corinthians 3:6). So, to God be the glory! This teaching on Decision Making/Knowing and Doing the Will of God might also be very helpful. Great and comprehensive article brother. Thanks Greg. Feel free to use it in any way you find helpful! I appreciate you and your fine ministry!